The industrial revolution left us with a radically different world, with its benefits and problems. Today, we find that the supply chains we rely on for vital resources are ancient, inefficient, and fragile. Luckily, there are plenty of options to start producing our food, products, and energy in much better ways, working with supply chains and learning from nature. We guide our partners in this process, focusing on the entire supply chain, and on creating value for individual organizations, and society at large. The sustainability of production systems are one of the main challenges facing our economy. How we make our food, provide for water, energy, and other basic needs is a fundamental question for the future. 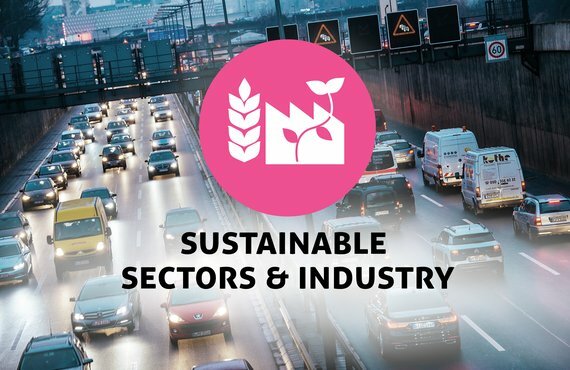 Since 1999, Except develops custom made services to help industry and sector partners to analyze, optimize, and improve production, with short term benefits and impact improvement, and long term transition towards circular, resilient industries. We stand by partners in a wide variety of industries to support their transition, step by step, towards a better future. By approaching this from the perspective of the entire life cycle, and with a long term view in mind, we achieve unparalleled results. “The results have been beyond our expectations. In the first year, [our] energy consumption dropped 8%, while CO2 emission went down 2%. That may sound modest, but with a print run that has an energy footprint the size of the entire South Carolina economy, this adds up to 285,000 barrels of oil left in the ground each year from now on, and the CO2 emissions of 155,000 car kilometers compensated for by IKEA’s CO2 savings. Plus, these reductions have only just started to kick in and are accelerating. If you're not sure where to start, wish to discuss in more detail what your organizational needs are, or simple have some questions, book in an intake call with us, free of charge and without obligation. In this call with one of our experts, we discuss with you what you think the direction is you'd like to go, what you need, and what you hope to achieve. From this we can advise you on what useful next steps are. Contact gertjan@except.nl to arrange an intake call, or for more information. Planning and executing the transition of production from linear to circular, from A to Z. Advanced strategies, concepts, and technologies for sustaineble, efficient food production anywhere in the world, including vertical and urban agriculture. What options lie before you, and what are the smart steps to take into the future? What is the competition up to, and how to best respond and position your own trajectory? Where does your organization impact society the most, and where are the opportunities? What is the best and most efficient way to arrive at transparent sustainability reporting? Services to head towards a fully circular economy organization, as well as performing broader systems analysis for understanding, analyzing, and strategizing towards a sustainable organization. Optimize your orgenization's impacts through the supply chain; map the chain, find leverage points, and boost organziational performance with smart tools and strategies. Involve your stakeholders upstream, downstream and across society to leverage higher performance, and combine this with industry leadership. Train your staff, sustainability tream or individuals in our various sustainability programs, for beginners to experts. Except started in 1999, one of the first consultancies in this field. In the two decades that followed, we've supported more than 100 organizations on their pathway towards sustainable operations. This experience helps like no other stand by you along the way. We work a wide variety of sectors,including large multinationals on four continents, such as IKEA and Heineken, as well as with small local organizations, minicipalities, and family businesses. We carry over this experience to you. "Except offers a flexible and complementary team of experts in different fields that together create magic." We help you choose and walk down pathways that not only increase your organization's sustainability performance, but help you flourish as well. Because that's what we feel sustainability is all about: to flourish as organizations while contributing to a sustainable society. Het land CO2 vrij in 2040? This project is a visual exploration of the Dutch waste water sector in 2030. It takes a closer look at the role of waste water processing facilities for the provision of clean water, renewable energy, and valuable material inputs for society of the future. The vision for 2030 concerns the role of waste water management in four major parts of society: the built environment, agriculture, industry, and natural lands. Dit is de visie voor de doorontwikkeling en verduurzaming van het warmtenet van Tilburg, ontwikkeld met onze consortiumpartners. De visie dient als startpunt voor de verdere ontwikkeling en samenwerking in Tilburg om tot een duurzame warmtevoorziening te komen, in opdracht van Essent, Gemeente Tilburg, Attero, Brabant Water en MOED. 12 kansen in duurzame afvalwaterketens. This project illustrates examples of domestic waste water use. By showing simple sketches of complex systems, the illustrations create understanding of pressure sewage, natural filtering, and mini filtering. How to bring Natural Capital into the boardroom?